For the sector minister, the parliamentarian, the politician and indeed, for all those who dine and wine on the taxpayers resources- the law of Wilfully Causing Financial Loss to the State, in its current form and contents, presents true, one of the greatest perils. Retrenchment may not be a shield. The law with its uncomfortable adjective “wilfully” it appears pre-established intention forbidden by the State and to which genuine professional or administrative risk-taking of a public official in the conduct of his/her functions, radiates not just recklessness or negligence but yes, criminal motive. No wonder Brother Alex Segbefia- the Chairman of the UK/Ireland Branch of the National Democratic Congress (NDC), once said that if he were to be in position of governance, he would have sought for its repeal. In his comparison of this law to Preventive Detention Act of 1958 as amended, the learned Ghanaian/UK based criminal lawyer suggested at the local NDC convocation which this reporter was personally present, that the death of Victor Serlomey, who despite his known ailments was denied treatment abroad, could indeed be the same case of what he termed as the then ageing Dr J.B Dankwa? We recently heard one of our folks on a radio station here in London, arguing that the law had been hyped from civil to criminal by the New Patriotic Party (NPP) just to eliminate its opponents? Assuming this is true, which we doubt, what conduct is criminal? According to Jacqueline Martin (Criminal Law, 2005), it varies from country to country and from one time to another. That is, a law is likely to change when there is a change in the values of Government and society. For example, in R v Adomako (1994, UK), a medical negligence case- that is tortuous act or a civil wrong- which the remedy is compensation, it was held that gross negligence is where the accused’s ‘negligence’ sparks beyond a mere matter of compensation between subjects and showed such disregard for the life and safety of others as to amount to a crime in which manslaughter can be committed against the State and conduct deserving punishment. Thus, applying the principle of gross negligence as propounded by Lord Hewart CJ in Bateman case (1925) Dr Adomako, an anesthetist, was found to be in breach of duty as he failed to notice that the tube supplying oxygen to a patient during an eye operation, had become detached (some six minutes) and suffered a cardiac arrest, that per expert evidence, any competent anesthetist would have recognised this immediately. For this reason, Dr. John Asare Adomako’s appeal was dismissed by both the Court of Appeal and the House of Lords. It is unclear how the reaction of our courts or ordinary Ghanaians would be where a doctor deserts his/her patient and embark on a strike action and the patient dies as a consequence. What if, a doctor aided by nurses, were to operate the wrong foot of a patient? For decades the judiciary is perceived or being accused of having starved itself of established methods of judicial reasoning- induction, deduction and analogy which per Ian McLeod (McLeod, 2002, p.10), are commonly employed in a variety of context in judicial trials. Thus, it is said, most decisions were reached per incuriam- a situation where relevant legal authority is overlooked. Indeed distinguishing an earlier case, in the words of McLeod, is simply a way of saying that it is irrelevant to the latter case. Therefore distinguishing, McLeod expounds, does not usually imply any criticism of the correctness of the earlier decision in relation to its own facts, nor does it undermines the bindingness in other cases. However, it is explained that there is one special form of distinguishing which may be taken as implying doubt as to the correctness of the earlier decision. This is where the later court, per McLeod, expresses the view that the earlier decision- for example, should Re Peprah and Others, be confined to its own facts? With this, we might not be surprised that of late, our judges are evoking broader, robust and strict liability in the interpretation of the Wilfully Causing Financial Loss to the State. Thus, we are prompted to assume that public officials are expected to inspire due diligence not only in the exercise of the powers bestowed on them by the Constitution but also in their daily functions. Indeed as mortal policymakers, they could inadvertently be reckless or negligent. From this premise, it is certainly strange within human faculty and all its acknowledged weaknesses to think that over the past six years no individual, from the ruling New Patriotic Party, is found advertently or inadvertently culpable in the execution of their admirable duties. Here is where President J. A. Kufuor’s ‘produce the evidence’ doctrine, we seek to advocate, in all humility and respect, melts, yes, under rule-of -reasoning as being hoisted by uncle Atta. In one of our earlier articles- “The Throes of Selective Justice”, we featured for uncle Agyekum that sophistication of contemporary crime networks is fast transforming the conventional legal terrain and process as the September 11 terrorist attacks in the United States and most recently in the United Kingdom, might suggest. The inside-trading in Enron was less to be desired by US government let alone Chief Executives and shareholders- both preference and ordinary. Thus, today, wait-and-see style of leadership appears not to be the most appealing. The hastily enacted Anti-terrorism and Security Acts, not forgetting Anti-Competition Trade Laws around our world, seek to address all these global trends. We may all be dead if in all these, circumstantial evidences were to be required before investigation. So could it be done in Ghana if bribery and corruption rather than terror, are indeed, our immediate national threats. We may be at odds on this but considering that the Police are empowered not only to arrest those caught in the act but also individuals, who without shred of information or evidence of wrongdoing could be apprehended in the name safeguarding life and property, we might be in step on this. Thus could individuals in the society, not cause for our arrest and questioning if we were to be found loitering aimlessly in our vicinity? Yes, we all have this civic duty. But, where without apparent reasons this is not forthcoming, then the State becomes indeed liable. Having said, the issue then is, who must be blamed for judicial decisions? Could it be the judiciary, parliament, the executive or a political party, where there is at least, legal remedy? The principle of judicial precedence dictates not only to the judge his or her point of departure on the application of the law to cases with similar facts but also, affords the judge a greater latitude in the interpretation of the law- here, the law of wilfully causing financial loss to the state which we may now concede it to be not only hastily bundled but also, has been exposed to be poorly or vaguely written. If not, why all these undesired political and legal fallouts? By all considerations, it could be argued that the future of our current centralised sovereign parliament and its honourable members is gradually, becoming a façade of political and economic self-serving venue for lawmakers who derived their power and immunity from the electorate whom they are to serve. Thus the ‘Hon Amoateng’s’ cocaine-smuggling indictment and the most recent judicial ruling by Mr Justice S.T. Farkye on ‘Hon Abodakpis’ five-year financial loss (criminal) trial, have produced not only the idea that the dignity of national parliament and judicial independence could pitilessly, be compromised at any cost and length. Article 125 (1) Chapter Eleven of the Constitution of the Republic of Ghana (1992) which has been in force since January 7 1993 unambiguously provides that “justice emanates from the people and shall be administered in the name of the Republic by the Judiciary which shall be independent and subject only to this Constitution.” In the exercise of the judicial power of Ghana, Article 127 (1) stipulates that the Judiciary in both its judicial and administrative functions, including financial administration, is subject only to this Constitution and shall not be subject to the control or direction of any person or authority? It is from this premise that the current parliamentary sitting boycott, occasioned by the ruling of Justice Farkye against Hon Dan Abodakpi, must be scrutinised with an eagle-eye. Indeed, Article 14 (1) states that “every person shall be entitled to his (her) personal liberty and no person shall be deprived of his personal liberty except among others (a) in execution of a sentence or order of a court in respect of a criminal offence of which he [she] has been convicted or… (g) upon reasonable suspicion of his [her] having committed or being about to commit a criminal offence under the laws.” There are no doubts in our minds that the law of Wilfully Causing Financial Loss to the State which the Learned Judge applied on the facts of the case, is still not in force. To this end, we find the Minority’s boycott and the President’s reminder to the main Opposition that the convicted, has still the right of appeal so it must come back to the House, as an indirect attempt to imprint fear and favour in the minds of future judges in this case. This smacks unfairness vis-à-vis the rule of law and indeed the "supremacy of the constitution". Indeed Lord Hailsham, the British Lord chancellor 1979 and 1987 once argued: “it is vital that the independence of the judiciary and the rule of law should be defended inside the Cabinet as well as in Parliament”, it is unclear whether boycotting parliament for days in solidarity with a sentenced colleague for an alleged crime which she or he has been found guilty under due process of law might be consistence with the Law Lord’s reasoning of judicial independence. It is also unknown how many radar signals our Honourable Minority MPs have put in place in various regional tribunals and courts to supervise or monitor such perceived politically-motivated trials of ordinary members of our society many of whom they derive their power and existence and, yes, they appear to be championing their causes. It is abundantly obvious in Article 15 (1) (a) (b) of our Constitution that the dignity of all persons shall be inviolable. By their acts and omissions, the Minority appears not only to be articulating their inarticulate premise on what the decision ought to have been ruled, but also it is demonstrating that before the law that they are its makers, some are more important than others. So the law must be construed peacefully in their favour. 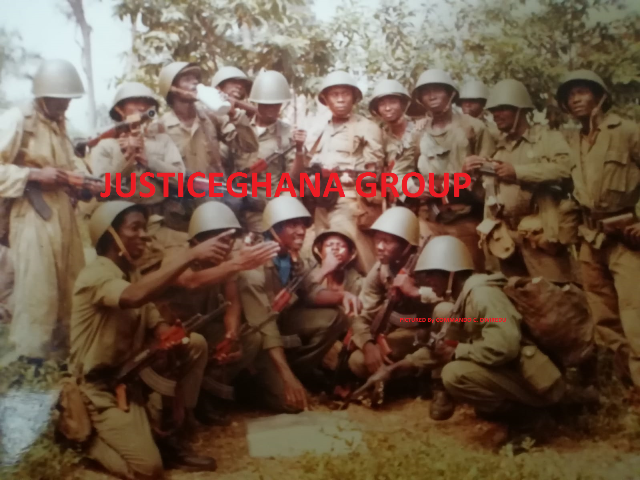 This is consistence with Article 125 (1) and Article 127 (1) as cited above which provide among others that in the exercise of the judicial power of Ghana, the Judiciary in both its judicial and administrative functions… is subject only to this Constitution and shall not be subject to the control or direction of any person or authority. Article 17 (1) says that “all persons shall be equal before the law.” For the purpose of clarity, it is explained in clause 2 that “a person shall not be discriminated against on grounds of gender, race, colour, ethnic origin, religion, creed or social or economic status.” To “discriminate”, according to the letter and the spirit of Article 17 (3), means to give different treatment to different persons attributable only or mainly to their respective descriptions by race, place of origin, political opinions… or are granted privileges or advantages which are not granted to persons of another description. So what justification lies beneath this boycott reasoning that this is not the first time this particular law or similar criminal web has caught up with countless Ghanaians or non-Ghanaians that we might not even be motivated to know? A person charged with a criminal offence or the sort, per Article 19 (1), shall be given a fair hearing within a reasonable time by the court. From the Minority’s own words, they are not at war with the judiciary per se but rather, with the ruling New Patriotic Party which it accuses of political witch-hunting. This could mean that there is no wrongdoing on the part of the judge vis-à-vis the interpretation of the law in this case that according to its known facts has travelled for almost five years- conforming to perhaps, the phrase ‘reasonable time by a court’ to permit the accused to defend himself before the court in person or by a lawyer of his choice as enshrined in Art (19) (f); and to be afforded facilities as provided in Art 19 (g) to examine, in person or by his/her lawyer, and to call witnesses by the prosecution before the court…? Yes, we have had no chance to examine the ratio decidendi in Justice Farkye’s ruling, so we are less able to discuss the argument- that relevant considerations were not heeded to- here, by not inviting the main witness… to this trial which would have really tipped the scale? But is this a question of fact or law? Under whose authority was said money transferred and who actually is this “infamous” Law of Causing Financial Loss designed to bring under its fold? We are neither here to dig NPP’s grave nor cover it. It is capable of excavating or levelling it. Knowing very well that the courts first point of departure after assembling it facts and evidence- which could indeed also be the binding law which makes not only the work of the prosecution and the defendant much easier but also that of judges, so we may be puzzling with the prudence in the minority’s collective stance on a conviction or sentence that is dispensed without fear or favour in an open trial. And perhaps, is far apart from political or ideological arm-twisting of constitutional and administrative law at the expense of the State? An act or omission which obstruct or impedes Parliament in the performance of its functions or which obstructs or impedes a member or officer of Parliament in the discharge of his or her duties, or affronts the dignity of Parliament or which tends either directly to produce that result, in the letter and spirit of Article 122, is contempt of Parliament. Art 123 of this Constitution states that where an act or omission which constitutes contempt of Parliament is an offence under the criminal law, the exercise by Parliament of the power to punish for contempt shall not be a bar to the institution of proceedings under the criminal law. The constitutional and administrative question therefore is: how long can a Member of Parliament on his or her volition boycott parliamentary sitting against the backdrop of a perceived political-under-hand in a judicial decision? What if the MP were to be a member of a parliamentary committee where his/her individual services or skills might highly be sought?